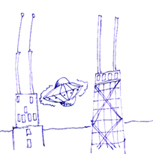 This is the general-purpose discussion mailing list for the UFO Chicago group. The discussion topics may range from advice in configuring a GNU/Linux system to the most efficient route to the meetings to just about anything. To see the collection of prior postings to the list, visit the ufo Archives. To post a message to all the list members, send email to ufo@ufo.chicago.il.us. Subscribe to ufo by filling out the following form. You will be sent email requesting confirmation, to prevent others from gratuitously subscribing you. This is a hidden list, which means that the list of members is available only to the list administrator.